Comment: Squirrels were previously in the attic, it needs to be sanitized and entry ways closed. Comment: Hello, I just bought a small farm in Landrum SC which has a 30 x 50' covered barn. The barn has cement floors and is open with no stalls. The barn has not been used for several years and has signs of Mice and Bird feces in side. Im looking to have it disinfected and cleared of the contaminants. Thank you! Comment: Termite inspection indicated no active termites. After we complete purchase of the home, we are interested in prevention and annual inspection. Landrum Pest Control Services are rated 4.88 out of 5 based on 148 reviews of 6 pros. 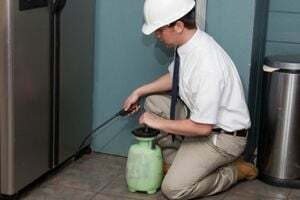 Not Looking for Pest Control Contractors in Landrum, SC?